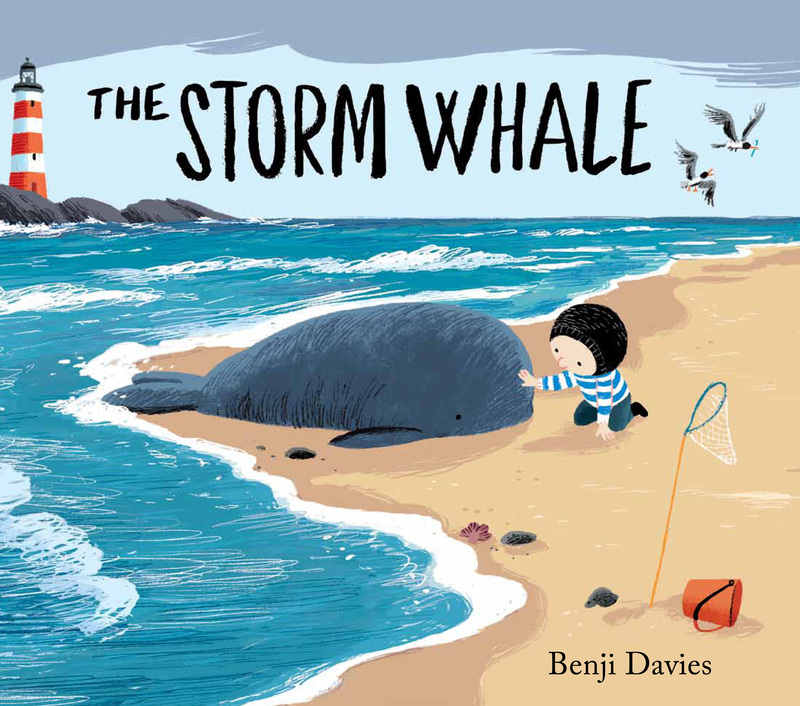 The Storm Whale is one of those rare picture books that evokes loneliness with such fragility, and that conveys such feeling and beauty that it cannot fail to move its readers. 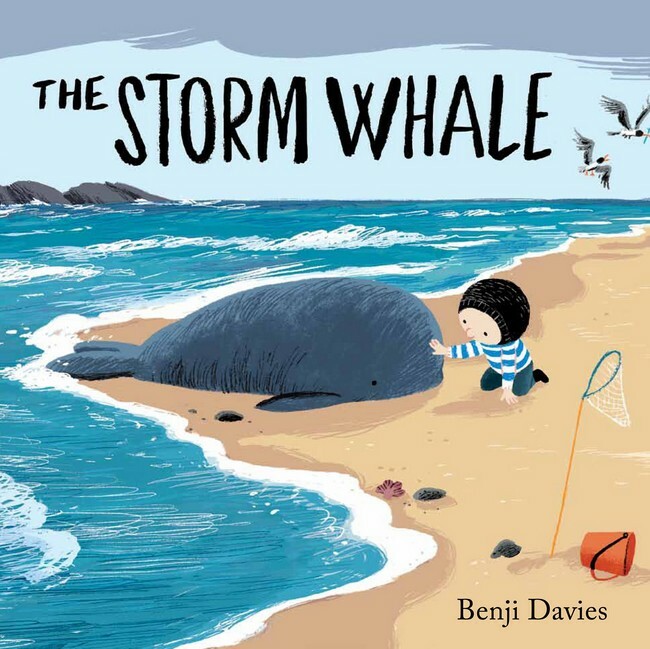 It tells the story of a lonely little boy who is changed by an unusual friendship, and though it might feel reminiscent of Oliver Jeffers’ Lost and Found for this reason, in The Storm Whale it is father and son relationship, or rather the lack of it, which is at the centre. 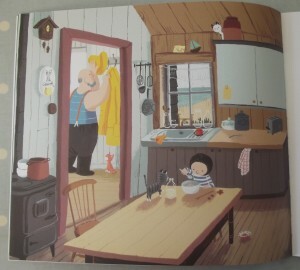 The unspoken distance between the two characters is conveyed both via the lack of dialogue and through the artwork, where the two characters are often physically separated, by a window or a wall, for example. 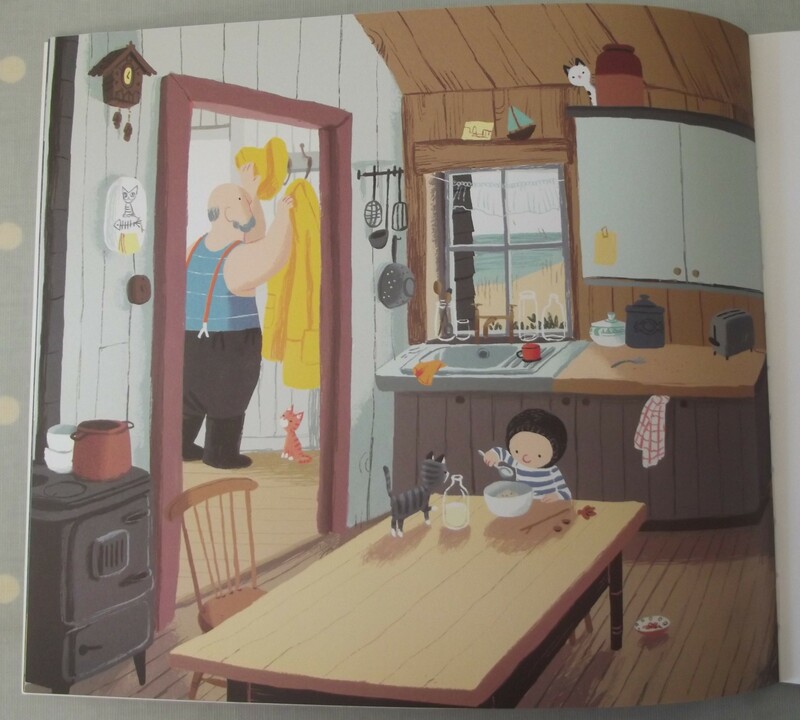 The artwork is particularly atmospheric, with the palette of colours being particularly effective at expressing the bleakness of the seaside but also bright colours to convey the comfort and safety of the house. 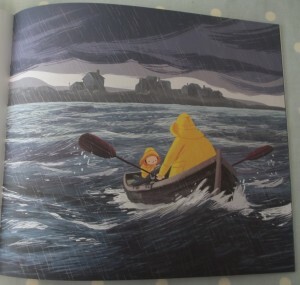 There is something beautifully lyrical about the artwork, and teamed with Noi’s dad’s slow realisation that maybe he has not spent enough time with his son, and Noi’s sadness at leaving his friend, this is book that might just bring a tear to your eye as you read it. 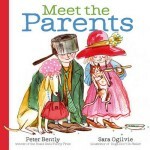 Themes of loneliness, friendship, family time and loss are touched on with lightness and incredible tenderness. 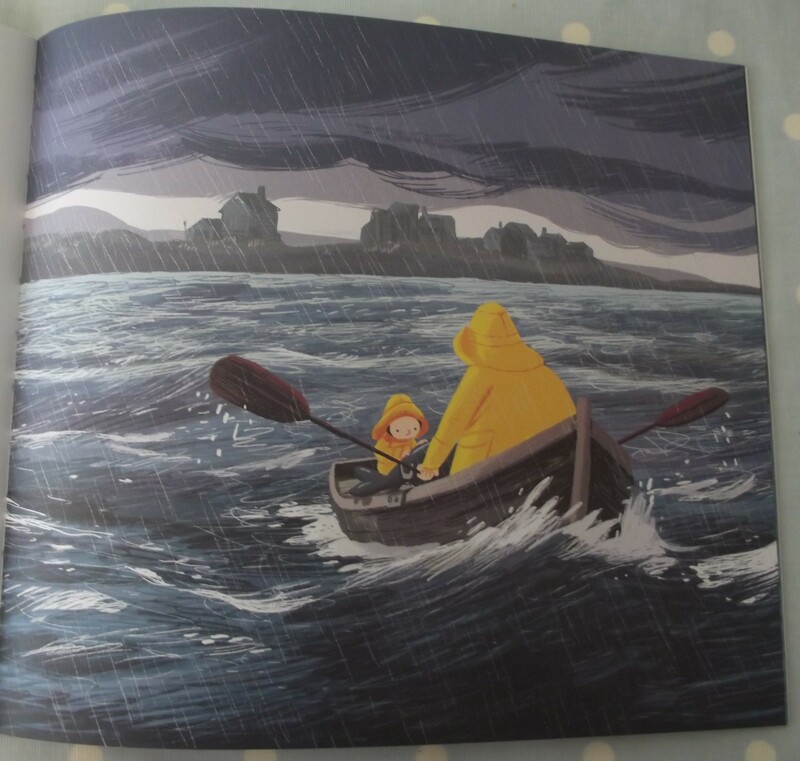 This is a gloriously beautiful book which will introduce these tough themes to little readers with much subtlety and might just inspire some tough but vital conversations about loneliness and letting go of things you love. 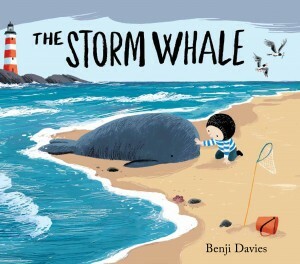 The Storm Whale is an absolute gem, do not miss out. 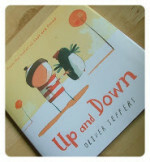 Ah, I’m hearing lots of good things about this, but have yet to see a copy myself. can’t wait!